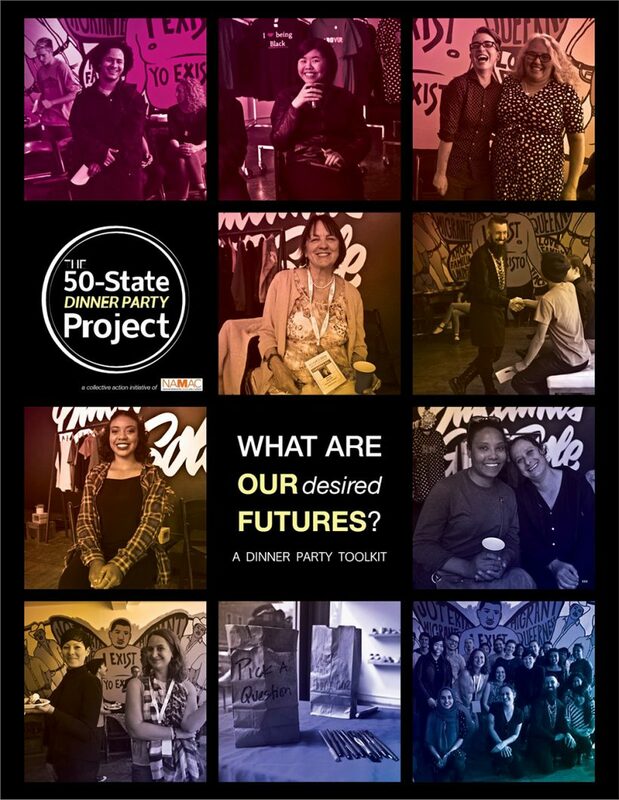 The 50 State Dinner Party Project is the beginning of a Collective Action Initiative produced by the National Alliance for Media Arts and Culture (NAMAC) to spark conversations in localities about civic issues through simple dinners. Our goal is to have 50 dinners in 50 different states in the next one to two years! We believe that collective action starts with local engagement. Through conversations in homes, community spaces, small businesses, and public institutions, we will be able to find, name, and connect the opportunities and challenges facing rural, suburban, and urban municipalities in our diverse fifty states. This will lead us toward discovering shared visions that can move our fields—youth media and creative youth development—into more coordinated action resulting in deeper impact. Our ultimate goal: inspiring creative, collective action that identifies and investigates civic issues facing our country and the world. And that starts with the act of sharing a meal.